Did soap bubbles ever look so beautiful? | UNBELIEVABLE! Did soap bubbles ever look so beautiful? Here is a photograph that has been circulating the science news in the last couple of days, simply because it is so unusual, so intriguing, and so beautiful. 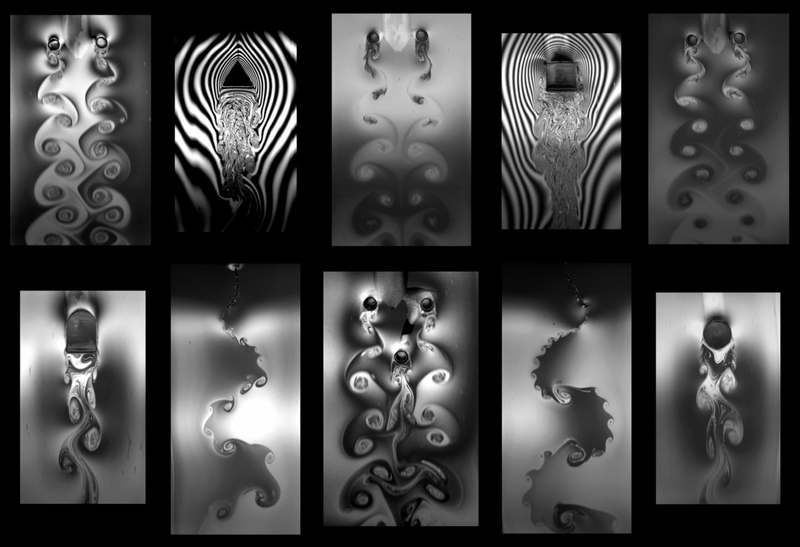 It is a photo from a research paper titled Visualization of flow patterns past various objects in two-dimensional flow using soap film. The researchers point out that a simple soap bubble is possibly the most powerful and effective medium when it comes to researching fluid dynamics. This photograph is – as many writers and bloggers have noted – “a beautiful reminder that Physics is everywhere, even in soap”. Many people may want to use this as desktop wallpaper. Posted on October 8, 2011, in Physics and tagged Awesome photos, Fluid dynamics, Soap. Bookmark the permalink. Leave a comment.